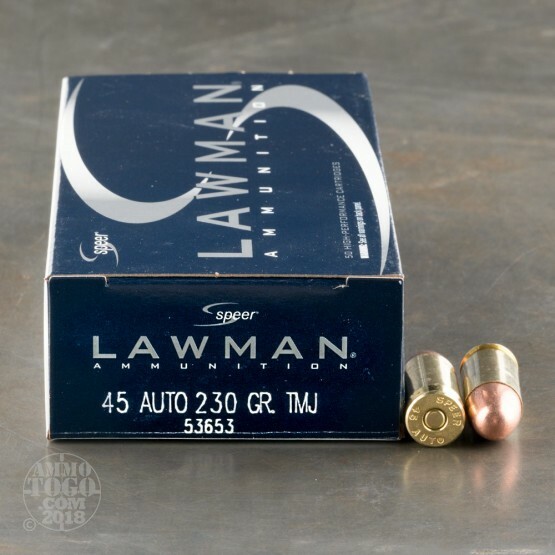 You get 50 rounds of .45 ACP (Auto) ammunition manufactured by Speer. Proudly manufactured in the USA, Speer is the ammunition choice of more law enforcement officers than any other brand. 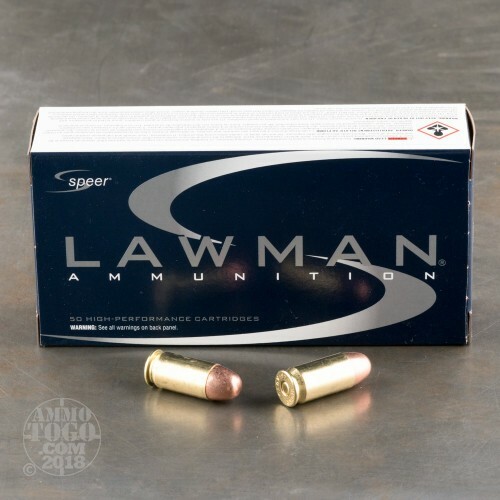 Speer’s Lawman line was specifically developed to provide a practical and realistic round for range practice. This highly specialized ammo is engineered to deliver the same feel and point-of-aim as many premium self-defense and duty loads, but at a highly affordable price point. Each of these factory fresh cartridges is loaded with a 230 grain total metal jacket (TMJ) projectile. The lead core is fully encased by a thick copper jacket, virtually eliminating lead exposure at the firing point. 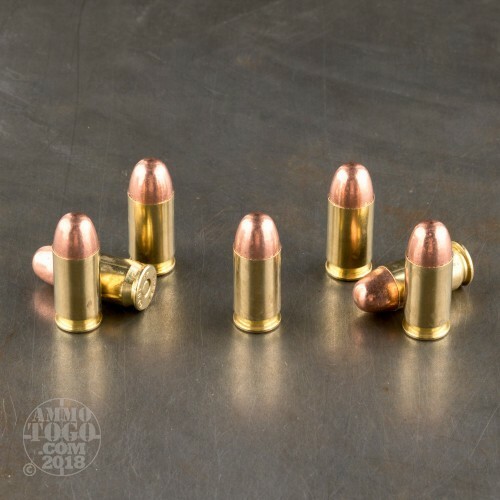 Also loaded with clean-burning powders and non-corrosive CCI primers, this ammo produces no airborne heavy metal emissions, making them a smart choice for both indoor and outdoor range training. 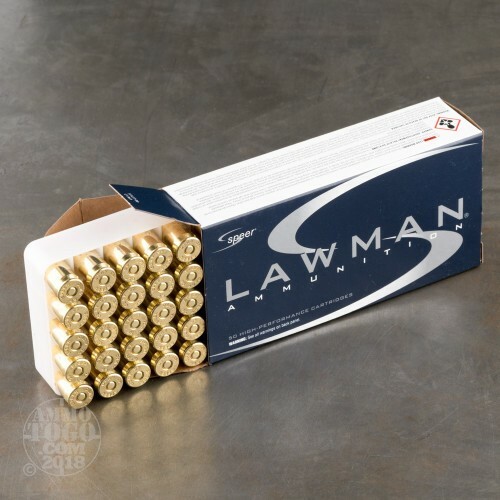 These loads feature high-quality brass cases that are fully reloadable. Each round produces a consistent muzzle velocity of 830 feet per second and 352 foot pounds of muzzle energy.